« Is that you, Martin Luther? Something Sheepy in the State of Denmark? What should one think, when two documents, arguably the number one and number two most controversial parchment/vellum artifacts known to history, were discovered to have been made at virtually the same moment in history? The Voynich was dated by the University of Arizona to 1404-1438, the Vinland Map, also by the University of Arizona, to 1423-1445. 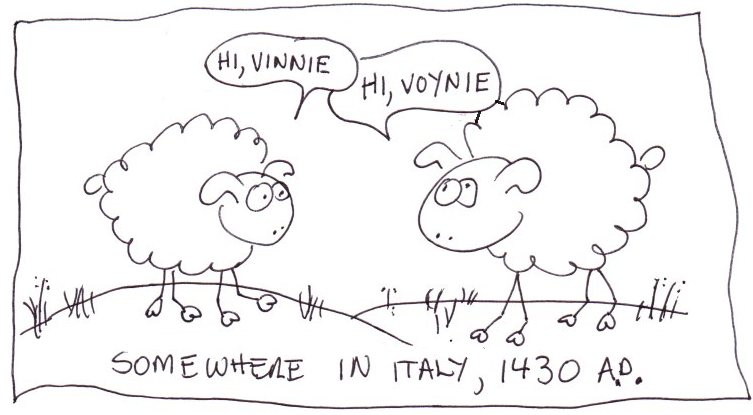 It is even not so improbable, given the 15 year overlap, that the sheep which made both were breathing at the same moment in time. 1) It is just a surprising coincidence. It is a pretty big one, though, considering all the leaves of vellum produced in the world, from practically the beginning of history, and these two share suspicion and a birthday. “There was an interesting programme about the Voynich manuscriptwhich is supposed to be a forgery as it is written in cipher but notdecoded. It was discovered by a Voynich who was a book dealer but it may have been forged to raise money for Russians revolutionaries. Unfortunately I did not see the BBC documentary, which this is referring to. If anyone reading this has seen it, I will ask, “Did someone on the show actually raise this possibility, and if so, on what basis did they make such a claim?” Because I had never heard it before, in all my years of poking around in this mess. 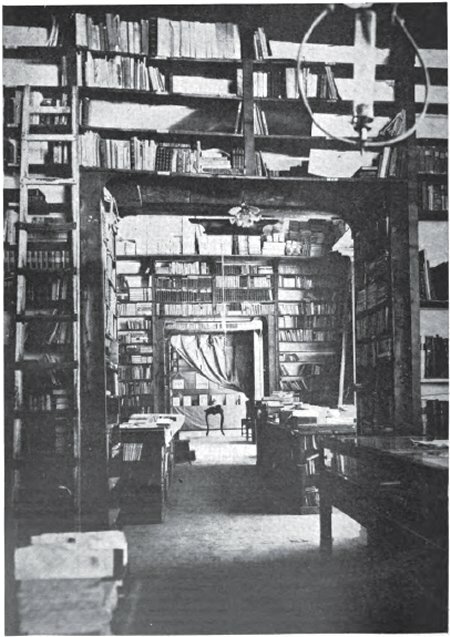 This picture is from the article, “The Romance of a Literary Treasure-House: An account of a Strange Bibliomaniac and his Hoard”, by Helen Zimmern (Pall Mall Magazine, July to December, 1908). The article explains that this collection, amassed by a Mr. Franceschini, included over one half a million books, maps, pamplets and incuncubilia. When I read the descriptions of this bibliotrove, and see that picture of the “Dark Room”, I feel that it creates a plausible scenario in which Voynich could have had access to much unused, blank parchment. He must have. I mean, even today one can collect dozens of leaves from the end papers of countless books… and there are also, even today, many blank books in collections. As I pointed out, a few years ago, I would have been able to purchase 20 sheets of unused, 16th century vellum… at only $35 a sheet. So look again at Voynich’s 1908 purchase, this vast, jumbled literary dumping ground, and ask yourself if it would have been so hard to dig up 114 blank sheets from somewhere in it’s depths. Same date, even? It would have taken just one blank ledger in that vast archive of unknown content to create a “Voynich” Ms.
“Indeed, of many things revealed by a visit to this library none is more strange to the common or garden person than the fact here impressed upon us that Amercia was by no means the terra incognita before the days of Columbus that our school books led us to suppose”. What could she have possibly seen which would have led her to make such a statement? The only literary evidence of pre-Columbus travels to America are the various Norse Mythologies. Maybe Wilfred handed her a copy of Freya. But the thing is, she happens to add the statement at the end of the paragraph discussing early maps. Did she see a pre-1492 map? We know of only one which is claimed to be so, the Vinland map. Which curiously, as I pointed out, has the same C14 date as another document, the Voynich. Which of course is known to have been owned by the buyer of the very library Ms. Zimmern was describing. Wilfred Voynich, sometime between 1908 and 1911 finds the 1666 Marci letter, describing a cipher manuscript, rumored to be by Roger Bacon, and once owed by Rudolf II. And soon, the lire and dollar-signs are dancing around the man’s head, as he thinks, “What would such a thing be worth?”. The answer is simple… priceless. If he could only find such a work… if only it were in his hands, the price would be his to name. But that was just a fantasy, the odds of finding such a work would be astronomical… it would never turn up, in ten lifetimes. 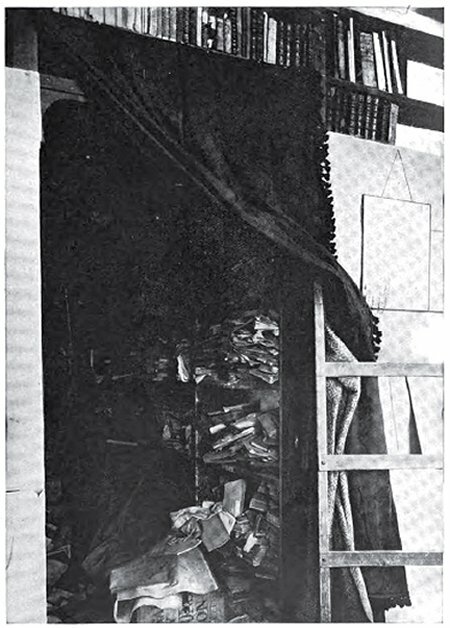 All he had was this storehouse of dusty books and piles of blank vellum. Well, maybe also a few “artists” on his staff, or a phone call away, with the knowledge of historical inks and paints. The ones he used to create those “replicas” of museum art for wealthy patrons from time to time. Perhaps it would be natural for him to think, “If the Marci-Roger Bacon manuscript could never be found, why not create one?” He had the motive, materials, ability, and knowledge to do so. But how to start with such a project? Since it was about Roger Bacon, the choices were easy, and many. The knowledge of alchemy, botany, astrology, astronomy, and optical sciences of the great man would make for a fantastical book… a colorful, dazzling work of art. Adding an indecipherable text would add to the mystery, and also, make certain that the content, unreadable, would not give clues to the great hoax. So you would only now have to hand to your artists, and (two?) calligraphers, the type and range of scientific and magical disiplines one might expect to find in a Bacon work… “…but make them strange, un-recognizable to some degree, while touching on the works of others… even those, far ahead of Bacon’s time”. Bacon was, after all, a man ahead of his time. So old herbals are pored through, and old astrologicals… and alchemicals, too. And of course Wilfred has these ready at hand. Why not throw a little of everything in there? We may as well shoot for an impossible, a Holy Grail of manuscripts, something the world would never dream of. For optics and optical devices, Voynich would be somewhat stuck… for there would not be anything from Bacon’s time to adapt. So for optics, his forgers would have to take from the works of Hooke, and from Kircher, from the 1744 “The Microscope Made Easy”, and John Quekett’s “Practical Treatise on the use of the Microscope”, 1855. 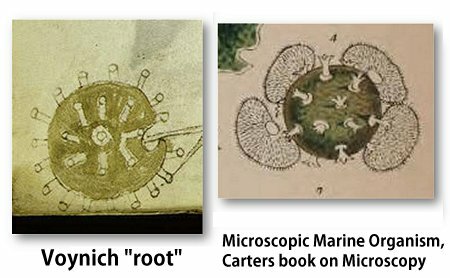 Then Carters’ Treatise on the Microscope, and others, would provide some nice engravings of microscopic organisms to copy, (barely) alter, and disperse among the pages, as wheels, and as roots of plants. The next step would be to announce his monstrous creation, to bring his Golem to life. Of course he would have to hide the actual provenence, which of course he did… claiming an Austrian castle as it’s source, then an Italian monestary, and so on… because it would not do, once the news hit, to have anyone questioning the actual people who were supposed to actually have sold it to him. That would not do, so best to obscure the source. And all that would be left was to make photocopies, and distribute them, write letters and send them, and sit back, and wait for history to knock at his door. But then comes an unexpected backfire. Romaine Newbold takes up on Wilfred’s hints of Bacon, and the hints of optics, and comes back with all the wrong answers! Newbold sees the cylinders as jars, not microscopes! Those artfully redesigned optics, Newbold only sees as jars! “How did he miss that? !”, Voynich thinks… And instead of the diatom, Newbold sees the Crab Nebula! Impossible for Roger Bacon to have seen with any device he could have possessed… but, then, it gets far worse. Newbold actually thinks he sees intentional, microscopic breaks in the manuscript’s characters… and deduces an impossible code scheme around the the elements he thinks he sees there… mere breaks in the ink, recently applied by Voynich’s dutiful scribes. And out tumbles the most convoluted and bizarre anagrammatic “solution” ever conceived. And now, all is lost… it got away from poor Wilfred, it was out of his hands. The path to literary obscurity for his creation was cleared, and as a final assurance the plan was finished, he realized he could never reveal the truth. Rather than be known as a great cheat, a greedy forger, he would have to remain the finder of the World’s most Mysterious Manuscript. He only had to remain quiet to save his reputation, and that of his famous author wife, Ethel. And so the Voynich Ms. was cast adrift in literary history, from theory to theory… each touching on all the clues so artfully placed, but deviously disguised, by Wilfred’s skilled forgers. And it bounced from owner to owner, to finally land in a vault at Yale. I began as a monumental miscalculation by the hopeful book dealer, and became an inadvertent, monumental joke on the countless scholars it drew into it’s web, for decades and lifetimes since. “Well, at least”, Wilfred thought, “I still have the map! That should be worth something…”. But enough of such wild-eyed, fanciful musings… as fun as they are. We all know that this is simply a 1420, Northern Italian herbal. So calm down, and get over it, please. This entry was posted on February 26, 2011 at 6:28 pm and is filed under Dating the VMs, fantasy, history & provenance, Uncategorized. You can follow any responses to this entry through the RSS 2.0 feed. You can leave a response, or trackback from your own site. Very interesting musing… I’ve found another possible interesting coincidence with dating of VMS: in some pictures of VMS shows ring in hand of woman and this may belong to history of Catholics saint Catherina dei Ricci, in which extasy corale ring appears on her finger. But she was born only on beginning of 16-th century… She was living in Prato – there we have nice castle with merlons 🙂 I am not historian, but there are yet many possible versions about VMS creation. Vytautas: Yes I agree, there are “many possible versions about VMS creation”, and there is still no way to come to any conclusions. Of course I really don’t think Wilfred made it, either… but you understood the point of the post. It is that the fact, limited as they are, still leave many possibilities open. I sense there is a dangerous tendency these days to make firm conclusions about what the VMs is, but I think it is still up in the air. I did not know Catherina dei Ricci had a coral ring, I will look it up. One other take on the ring (you mean f85v-1?) is “my” Luther: https://proto57.wordpress.com/2010/12/05/is-that-you-martin-luther/ Thanks for the comments. Rich. Thanks for mention of my little comment. When have read your reply I open post about Luther and mentioned illustration with “Garland girl”. There is another coincidence with Catherina dei Ricci – by the Wikipedia info, she was carried chain around his neck… As seen in manuscript drawing, woman is keeping chain – like thing. It will be good to compare another elements of VMS with those from Prato 🙂 Good luck. Yet another finding in Google Books – “Il castello di Prato– strategie per un insediamento medioevale”, here is illustration with bricks in wall of former hospital San Giovani di Prato- for my eye those are pure elements of VMS… Just a mention. About the root: I think it is a round shield popular in Northern Italy during knights tournaments. Gives advantage in the fight on the ground. They used the shield as a weapon putting knives and other sharp sticks on the periphery. The sticks also had a role in catching the enemy’s lance. 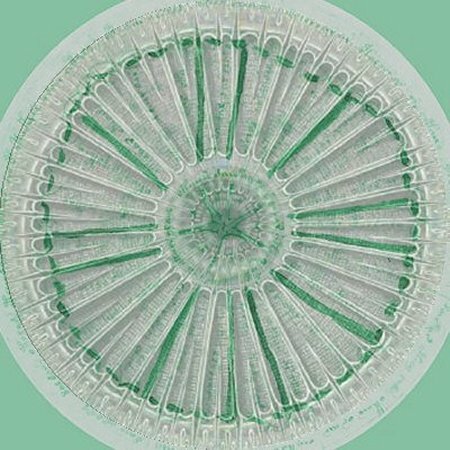 About the big diatom: it is really impressive match. Great idea! The text on the rosette as I read it is about negotiations over Cyprus and Lydia with people named Kilmar and Isidoar, but nobody will believe me anyway, especially after they learn that the text on the top of the rosette is talking about 60/200 ratio ice/whiskey. Blue and green were the main colors of the Cockburn Ancient tartan. That story made me think that the Russians stole the vodka recipe idea (grain distillate) from Scotland. Officially the vodka was created in1430 by some monk named Isidor. Just few years after the ‘Princes of the East” traveled West. Hi Luis: I have to say that is absolutely beautiful! But I am afraid I cannot read it, as I read only English. Also, you have not made your paper in any text format, so I cannot run it through a translate, like “Google Translate”. So unfortunately, it must remain as mysterious to me as the Voynich Manuscript itself… Rich. Luis… I did write to you, and look forward to seeing the documents you send me. Rich.